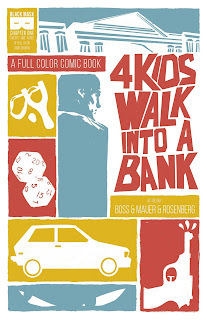 The Fellowship was fortunate enough to obtain a copy of 4 KIDS WALK INTO A BANK #1 from Black Mask Studios. Matthew Rosenberg writes, Tyler Boss draws and colors, and Thomas Mauer letters. Paige and her friends are kind of the outcasts of their school. They’re all twelve, and they’re into board and roleplaying games, and they’re not very social. And when four obvious thugs show up at her house, Paige stands them off. Later she figures out how to track them down, and boy, is she surprised to see who they’re having lunch with. I think a lot of us can relate to the awkwardness of Paige and her friends (I sure can). But it comes across as endearing and funny, which is a testament to the clever writing in this book. It’s also hilarious how these kids manage to really screw with a group of hardened criminals. And I love how the art makes use of really small panels to add more story to the story. There is a lot going on in this book, and that’s totally a compliment. And there’s a strong sense of reality here, even during moments of unreasonable bravery. This book is going to be a winner. 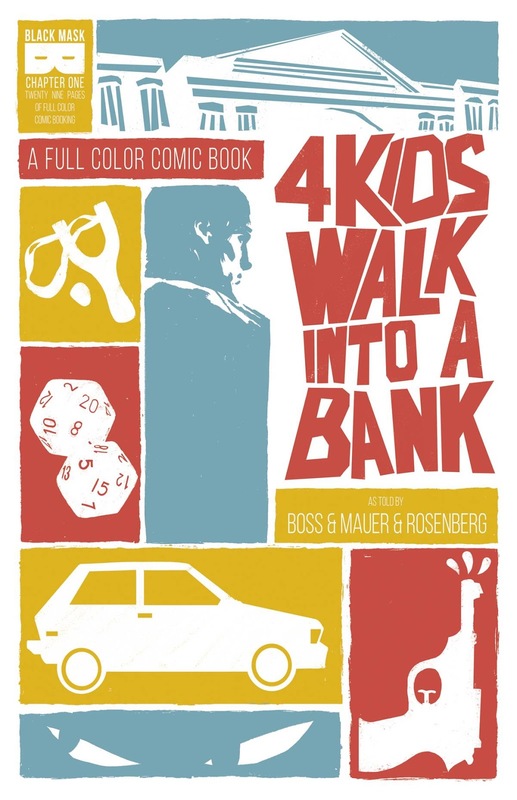 4 KIDS WALK INTO A BANK #1 is available now at your FLCS or at blackmaskstudios.com.